We will set up, serve cake, ice cream and juice, entertain the children in the Playland and clean up after the party. 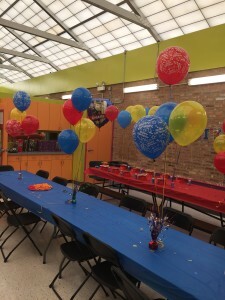 Mail invitations and provide additional decoration to the Party Room. For the safety of the children, parents may be requested to assist.